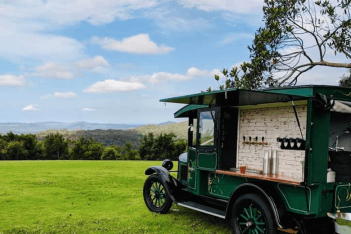 Nestled amongst rolling hills in picturesque Brookfield, less than 20 minutes from Brisbane’s CBD, Bundaleer is a unique venue bounded by 4 acres of private family owned land. 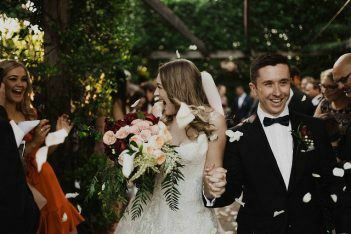 With an abundance of trees and natural birdsong, a creek that borders the property and the remnant rainforest backdrop with several different ceremony and reception locations. Boasting a Silk Lined Marquee with formal dining of up to 220 guests and a Rustic Tree Tops Reception Room cladded in western red cedar that can seat up to 120 guests and with undercover wet weather ceremony locations in case it rains. The team at Bundaleer have absolute passion when it comes to ensuring your day exceeds all expectations. With our commitment to quality, service and attention to detail, we’ll take the stresses away and assist you in planning your special day. Sasha Donald our Event Manger has been with Bundaleer for over 6 years and has a wealth of knowledge to ensure your wedding day exceeds all your expectations. Sasha Donald has been the Events Manager at Bundaleer Rainforest Gardens for the past 6 years. She will work alongside you through every stage of the planning process and be there on your wedding day to ensure your vision comes to life and every detail is perfect. A true professional in the industry, her strengths lie in customer service, attention to detail and having insight into what make a wedding truly memorable.